MAD-GFX is proud to present the Dreams powered collaborative project Europa Descent. Experience the epic Sci-Fi journey exploring the depths of Jupiters moon Europa. Featuring a wide range of gameplay styles and unique environments as you traverse the frozen surface then drill into the alien depths below. Penned by author Lucas Thorn and hand crafted by multiple MAD-GFX community members. We hope you enjoy the journey through our collective imaginations. "There is a wide, yawning black infinity. In every direction, the extension is endless; the sensation of depth is overwhelming. And the darkness is immortal. Where light exists, it is pure, blazing, fierce; but light exists almost nowhere, and the blackness itself is also pure and blazing and fierce." Find out why this location was selected for MAD-GFXs first collaborative project. 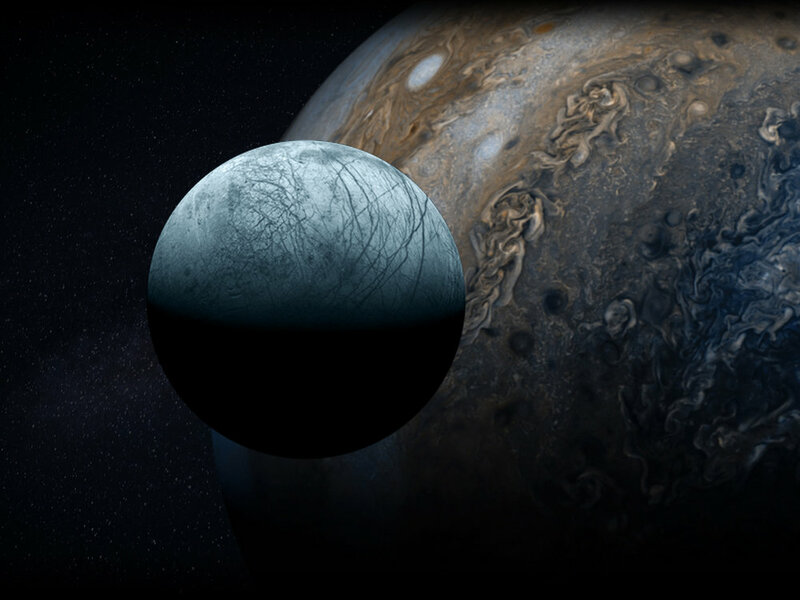 The project gallery is constantly being updated, click below to see our latest visions of Europa. Surface and Subsurface mood board development. MAD-GFX is proud to present our latest Dreams Project. Into The Forest is a side scrolling action adventure with a few twists. The game will be relatively easy to complete, but difficult to master. * Multiple beautifully crafted and unique environments. * Diverse gameplay mechanics to add new challenges. 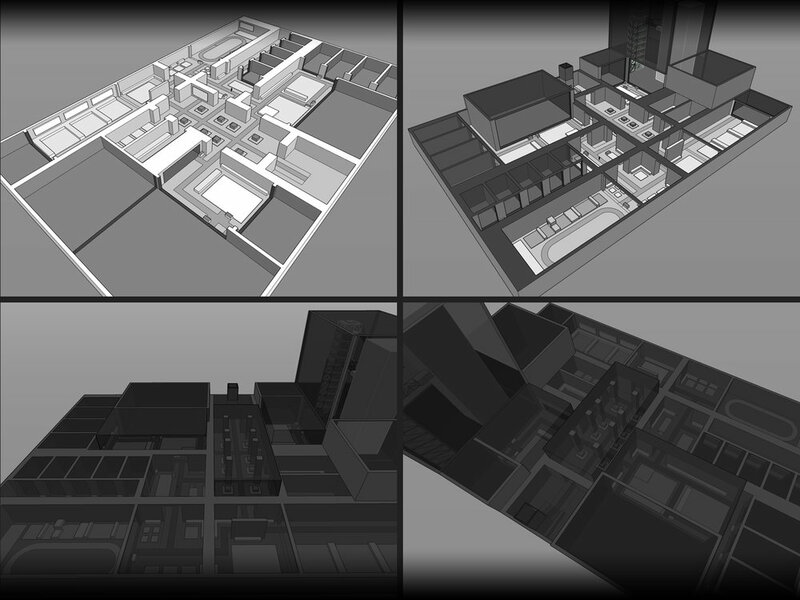 * An ever-evolving level design, which reacts to the player’s choices and successes. The general gameplay is divided into five unique areas, containing a dynamic hub world, which evolves as you complete four elemental forest zones: Earth, Water, Fire, and Air. You have the power to breathe life into the world itself. Through the completion of zones and the collecting of power crystals and special elemental items, the world around you will be rejuvenated with the power of the elements. Witness the transformation of the hub world. Can you restore the island to it’s previous glory? Learn more about Into The Forest gameplay design and core concepts. Dive into the four Elemental Forest inspirations. MAD-GFX will have a virtual construction / demo space inside Dreams, to be used for construction, twitch streaming and highlighting our work. Entrance Spawn - Starting area. Vehicle Hangar - Used for vehicle design and construction. Environmental Testing Facility - Featuring a large workspace, primary test stage and multiple smaller biome stages. Sound Studio - Used for sound development, effects and music. Creature Laboratory - Used for creature development. Logic Workshop - Used for logic testing and development, featuring multiple test spaces. Animation Studio - Used for animation testing and development, features a test field with multiple obstacles. QA Portal - Portals connected to Dreams/Areas ready for testing.